The reliable thermal POS printer with full front operation that can be easily placed under the counter, thanks to its compact design. 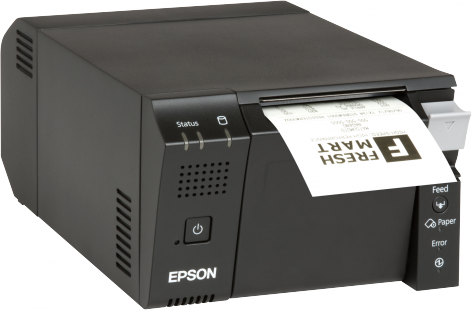 The TM-T70II is the reliable thermal receipt printer that can be fully operated from the front, thanks to its front paper loading. With a small footprint, and accessible button controls, it conveniently sits under your counter, while its fast 250mm per second print speed and margin-less printing allow you to serve your customers quickly – without having to replace paper rolls quite so often.